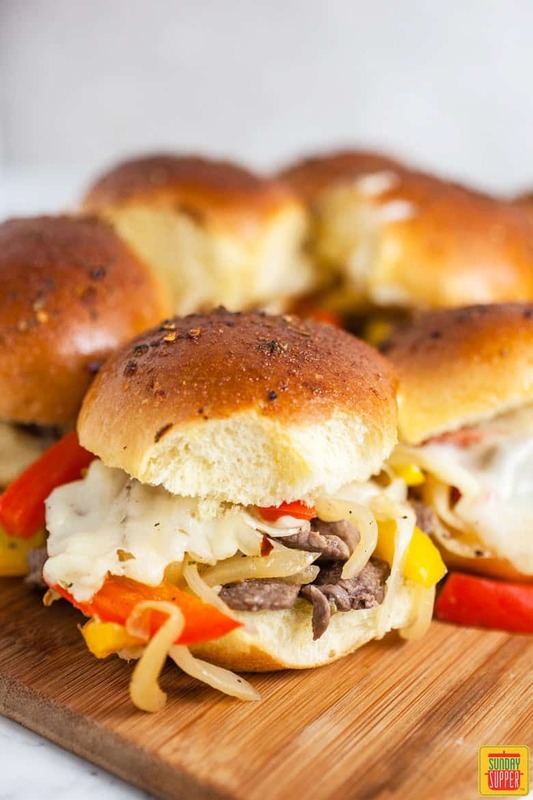 These baked Philly Cheese Steak Sliders are the PERFECT football party finger food! This easy recipe is ready in no time at all and bursting with flavor. I am not a ‘sports person’ nor do I follow any professional sports teams but I do love all the foods that come along with them. I’ve often thought about crashing a tailgating party just for fun. 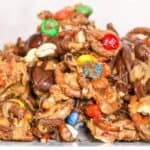 I firmly believe that I can still enjoy all the finger foods and goodies that come with cheering for your favorite team even though I couldn’t tell you a single thing about them. Great food is a unifying factor – It’s the social glue that holds all of us together. 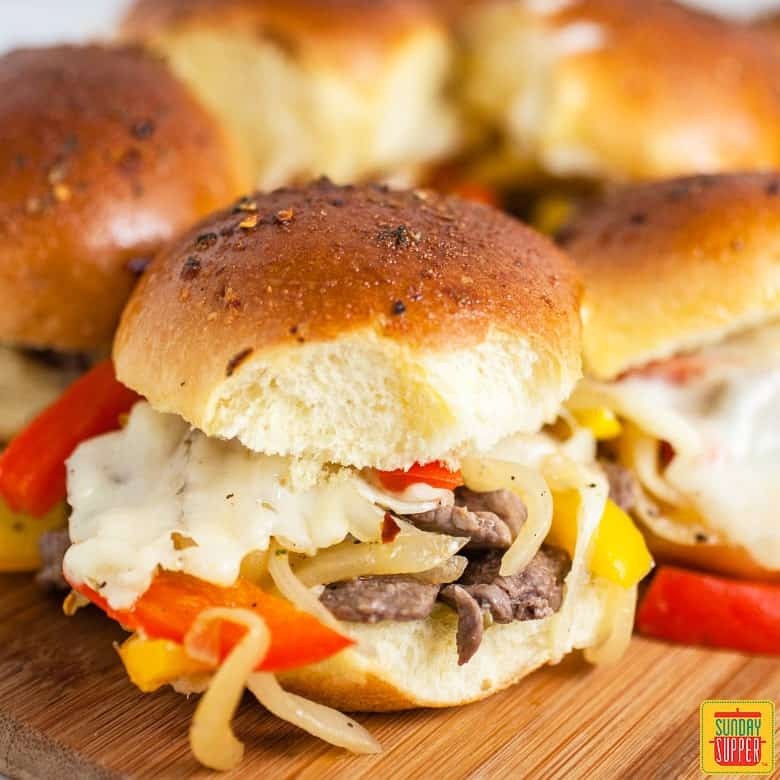 I was really excited to whip up a batch of these baked Philly Cheese Steak Sliders and share them with friends. 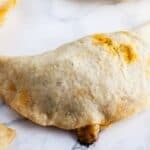 This recipe features one of the world’s greatest sandwiches – The Philly Cheese Steak in slider form. 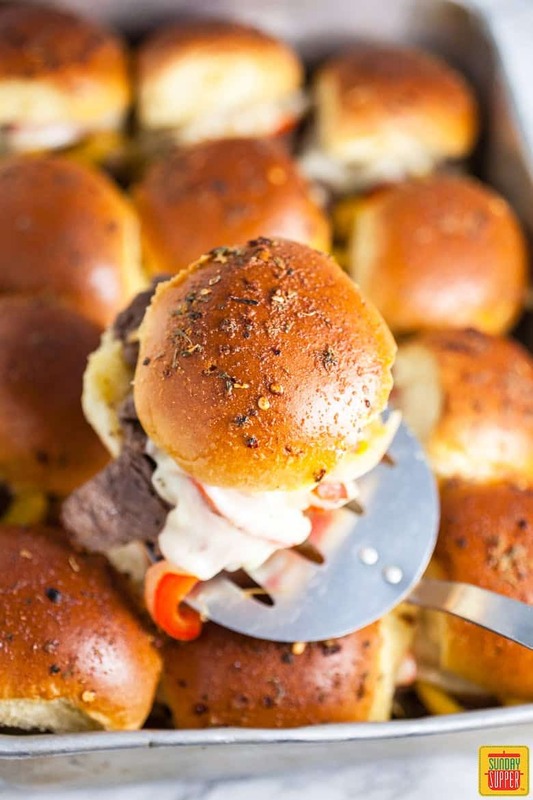 These sliders are easy to make, full of gooey cheese, and topped with a mouthwatering herb butter. 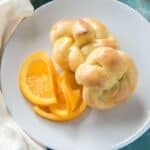 Pull apart sliders are great game day fare because they’re so easy to make and they feed a crowd. It’s much easier to prepare a batch of sliders than to assemble individual sandwiches. Any kind of sandwich can be made into a slider. Your guests will love them because they are hearty & delicious – No dainty finger foods here. 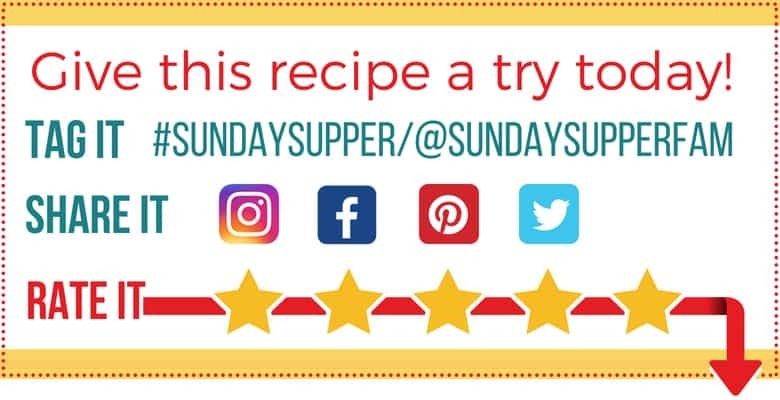 This recipe starts with peppers and onions. Cut 2 large bell peppers and 2 onions into thin strips. You can use any color pepper and any variety of onion you like. Heat a pan to medium and add 1 Tbsp. oil. Add the sliced peppers and onions along with a pinch of salt and pepper. Saute the peppers and onion for 10 minutes or so, stirring occasionally. The onions will wilt down and caramelize a bit. This process brings out the sweetness in the vegetables. Remove the vegetables from the pan and set aside. Next up is the beef. I went with top sirloin for this recipe. We always recommend using Certified Angus Beef® brand for best results. Cut 1-1 1/2 lbs. of sirloin or top sirloin into thin slices. Return the pan to the stove top and bring the heat to slightly higher than medium. Add another Tbsp. of oil to the pan. Place all of the beef into the pan as soon as the oil is heated. Sprinkle a generous pinch of salt and pepper along with 1 tsp. of garlic powder over the meat. Cook the beef just until it has caramelized on both sides. This only takes a few minutes per side. 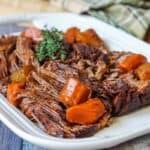 Try not to overcook the beef or it will get tough in the oven. Remove the pan from the stove top when finished. 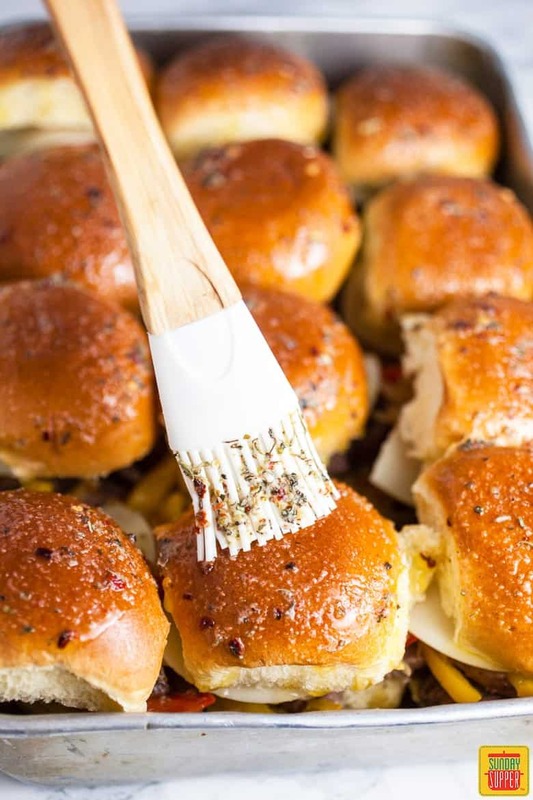 Now let’s talk about this magical herb butter that gets brushed over the top of the Philly Cheese Steak Sliders. This is the stuff that sets these Philly Cheese Steak Sliders apart from all the rest! It’s amazing what a little bowl of butter and some dried herbs can do for a sandwich. I was tempted to dip everything I eat into this herb butter but I managed to restrain myself. Simply place 4 Tbsp. butter in a small bowl and melt it in the microwave. Add 1 tsp. garlic powder, 1 tsp. 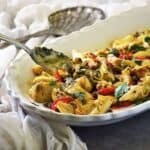 Italian herb spice blend (rosemary, oregano, thyme,etc. ), and 1/4 tsp. red chili flakes. Stir until all the herbs are combined. The next step is to assemble and bake the Philly Cheese Steak Sliders. This recipe makes 12 sliders but can easily be doubled to feed a larger crowd. It’s best to use slider buns or some type of bun that is smaller than a typical burger bun. I used small brioche buns because I love the buttery goodness of brioche bread but any type of smaller bun will work. Slice the buns in half and lay the bottoms in an 11×17 inch cake pan (12 should fit perfectly). Add the beef in an even layer to the buns (make sure to pour all the pan juices on to the buns for extra flavor). Add the peppers and onions on top of the beef. Place a piece of provolone (or cheese of choice) to each slider and place the bun tops on the cheese. Brush a generous layer of the herby butter over the top of the buns. Place the cake pan in the oven for 15 minutes. 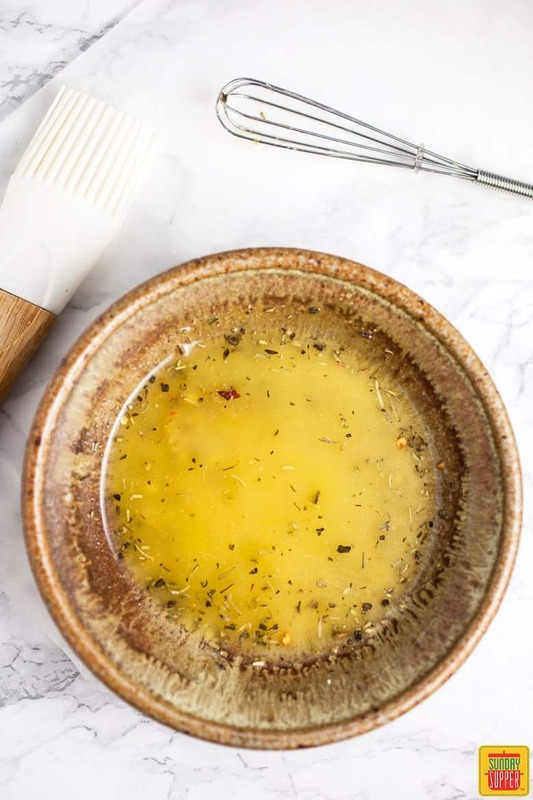 The provolone cheese will melt and give you that great gooey factor that we all love in a Philly cheese steak and that herb butter will make your house smell incredible. Remove the pan from the oven when finished. 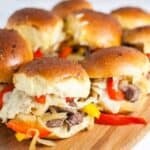 These Philly Cheese Steak Sliders can be served immediately which is great because they smell way too good to sit around. I guarantee that they won’t last long. 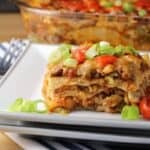 Your guests may not all root for the same team but we can all cheer for tasty food like this! Cut 2 bell peppers (any color) into thin strips. Cut 2 onions (any variety) into thin slices. Heat 1 Tbsp. oil in a pan. Add the peppers and onions along with a pinch of salt and pepper. Saute the vegetables on medium for 10 minutes or so. The onions will wilt down and caramelize. The vegetables will sweeten as they cook. 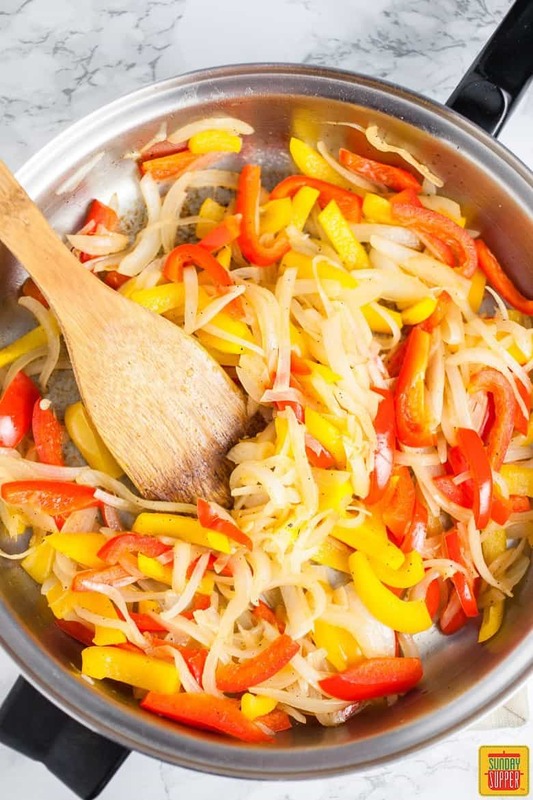 Remove peppers and onions from pan when finished. Set aside. Cut 1-1 1/2 lbs. of sirloin or top sirloin steak into thin strips. Return pan to stove top and add 1 Tbsp. oil. Add the beef strips to the pan. Add a generous pinch of salt and pepper and 1 tsp. of garlic powder. Saute the meat for a few minutes per side on slightly more than medium. 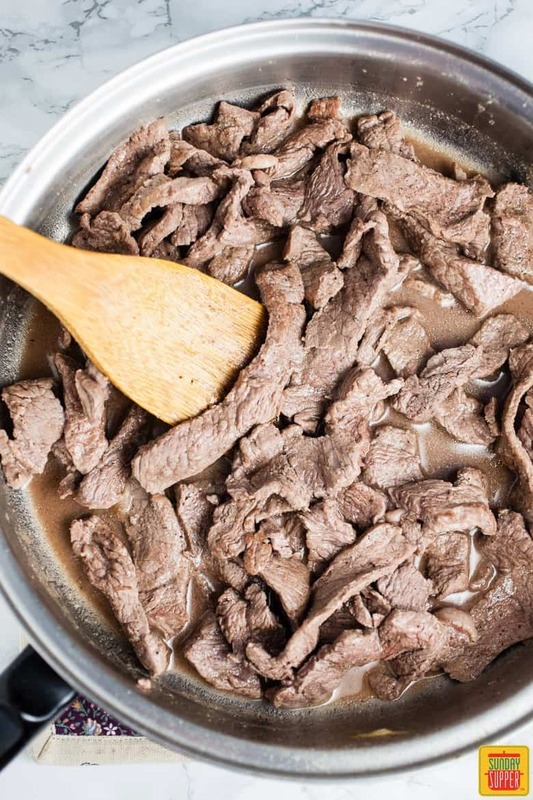 When beef is slightly less than cooked remove it from the stove top. Cut the slider buns in half. Place the bottom half of the buns in an 11x17 inch cake pan. Layer the buns with the cooked beef and juices, then the peppers and onions, and then a slice of provolone (or cheese of choice) on each slider. Place the tops on the sliders. Add 4 Tbsp. butter to a small microwavable bowl. Melt the butter in the microwave. Add 1 tsp. garlic powder, 1 tsp. Italian seasoning, and 1/4 tsp. red chili flakes to the butter. Stir until the spices are combined. Brush a generous layer of the herb butter on across the top of the buns. 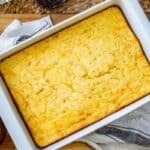 Place the cake pan in the oven and bake for 15 minutes. The cheese should melt and the tops of the buns will become golden. Remove pan from oven when finished and serve immediately. My name is Christine Rooney. I live in rural Minnesota with my husband and two cats, Sapa and Ḣota. 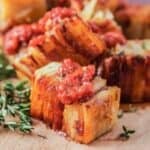 I own and operate The Rustic Foodie gluten free food blog and work as a freelance photographer and writer. I like my food to be like anything else in life – Down to earth and full of flavor. 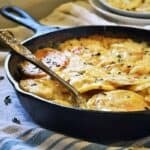 My goal is to take simple ingredients and coax them into their full potential using time-tested cooking techniques. 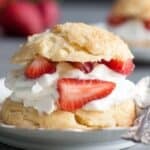 I strive to be as healthy as possible, but hey, if someone offers me a chocolate eclair – I’m not turning it down.